DAVID COVERDALE has been in the most legendary bands; DEEP PURPLE and WHITESNAKE. Their music has mostly stood the test of time and will always be played where rockers gather. In the wake of a crashed DEEP PURPLE reunion David resorted to making an albums worth of DEEP PURPLE music. He pinched some of the most well-known and most surprising choices of the back catalogue (in this case “Burn”, “Stormbringer” and “Come Taste the Band”) and enlisted the aid of the incarnation of WHITESNAKE for the time being. Apparently this was the last of Doug Aldrich. It is a little bit like doing a remake of The Exorcist, Evil Dead and Jaws at once. Opener “Burn” sounds of fatigue. To do something with such a dynamite song is a gargantuan task. “You Fool No One” just pass me by. “Love Child” does what they promise, and it gets a David-snake remake. Not bad. 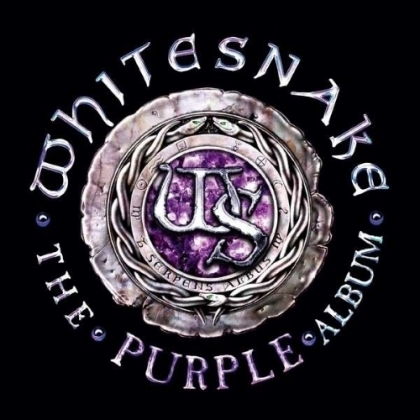 Most of the songs don´t get the WHITESNAKE treatment in my ears, like “Sail Away”. “Lady Double Dealer” suffers from the vocals, sadly. To my satisfaction “Mistreated” fares better. I miss Jon Lord here of cause, but the guitars hold firm and David may not be what he was but gets this one right. “Might Just Take Your Life” is one of my all time faves. It is slightly more than ok, I just don´t see it happen without the Moody/Marsden guitar attack. I think that the one that gets the best treatment on here is “You Keep On Moving” or “Soldier of Fortune”. The first gets a WHITESNAKE approach, the second is the kind of song David will be the best to do until his dying day. “Stormbringer” is also a bit off, there is too little of WHITESNAKE, too bland an 80´s hard rock opening and the drums sound skinny. I wished for more...truly. But the general feeling for me is that I could do the same if I opted for first team football again...as I did in the mid nineties.